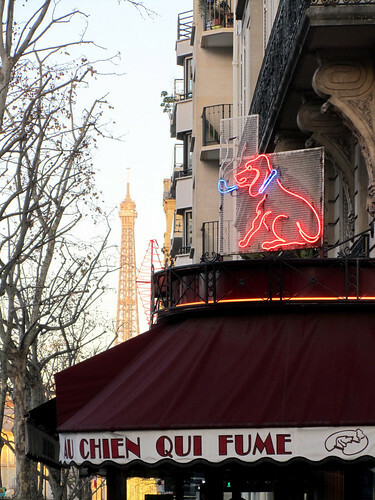 Even then, this is not the only Au Chien Qui Fume in this city. A quick web search shows that the main one (or rather, the top search hit) is actually a restaurant at rue du Pont Neuf within the heart of Paris, and there’s another at Versailles. I don’t think these are part of a chain, given their logos are different. One imitating the other when it comes to name branding?